Our patients experience less sensitivity and get an average of 4-8 shades brighter. Get results in 30 minutes with average shades of 4-8 brighter. Our patients experience less sensitivity than those treated with the red gel system and our system is heralded for its low sensitivity characteristics and enhanced formulas for a better white. The proprietary formula incorporates Amorphous Calcium Phosphate technology and Hydrogen Peroxide. It then combines the formula with a new light activated chemistry designed for superior results, yielding lower sensitivity and less fade back. It’s an easier and more convenient system, with a cool light advanced optical alignment system that ensures quick and precise patient set-up for optimal results. The initiation occurs through the application of cool light which emits monochromatic light at the specific wave length, which is absorbed by catalyst molecules through accelerating the release of an activated bleaching agent. Hydrogen peroxide breaks down to water and free oxygen radical. The free radicals chemically reduce larger organic-pigmented molecules in the enamel matrix into smaller, less pigmented constituents by rapid oxidation. These compounds have double bonds and long carbon chains that are subsequently reduced to smaller carbon chains and hydroxyl groups, which eliminate discolouration. 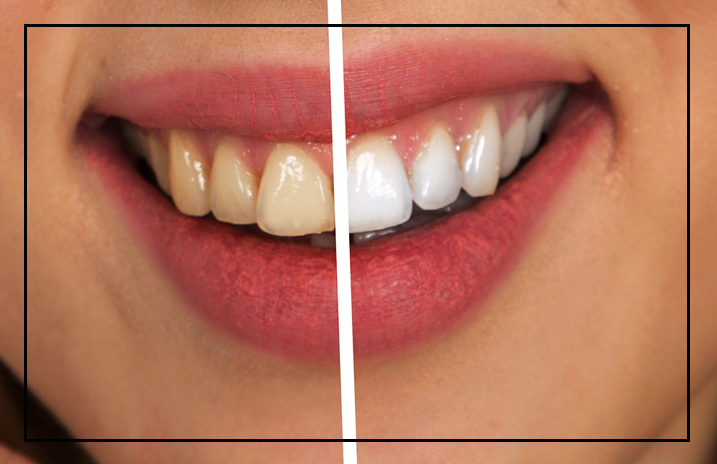 Hydrogen peroxide, the most accepted active ingredient for in-office bleaching, does not decompose readily which is why traditional bleaching procedures require lengthy visits.